There are many avenues for parents, grandparents, friends and supporters of LCA to support LCA financially through everyday expenditures. The following opportunities make supporting LCA easier than you may think! Clip those little Box Tops for Education labels you find on many groceries (biscuits, cereal boxes, crackers, butter tubs, etc.). Each one is worth 10 cents to LCA! 10 cents may not sound like much, but with everyone participating, 10 cents adds up quickly! During a typical school year, LCA earns around $2,000 from the Box Tops for Education program. Box tops can be turned into your Lower School teacher or to the receptionist in the front office of the Upper School building. Each year, Publix gives LCA an inventory of Publix Loyalty cards for family and friends of LCA. When shopping at Publix, ask the cashier to scan your loyalty card at check out. Publix will donate a portion of your purchase to LCA. Enroll your Kroger Plus card at Kroger's Community Website. When you shop at Kroger and use your Kroger Plus Card, Kroger gives back a portion of your purchase to LCA. Any time you visit the IHOP in Loganville, turn in your receipts to one of our receptionists. IHOP donates 10 percent of every receipt submitted to LCA monthly. Enroll your Ingles Advantage card at www.inglestoolsforschools.com in their Tools for Schools program which will earn funds for LCA each time you use your card. Reenroll your advantage card each September. 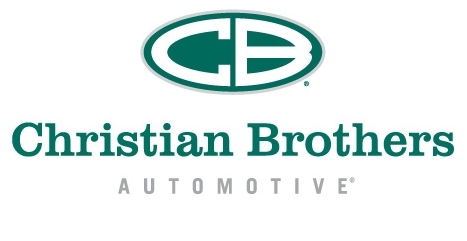 Christian Brothers Automotive (click for program flyer), located at 2547 Loganville Hwy in Grayson, has partnered with LCA in offering a vehicle rebate program. Regular vehicle maintenance is necessary for any car. Why not get it done at a local, faith-based establishment like Christian Brothers? Then, a portion of each oil change, repair, or service will come back to LCA. When you drop off your vehicle, simply identify yourself as an LCA supporter, and a percentage of all invoices will be given back to support Loganville Christian Academy. The rebate amounts are 10 percent on invoices under $100 and 5 percent on invoices over $100. The next time you are ready to renew your magazine subscription or buy a new magazine, log in to the Great American Opportunities website and put in our school code: 418814. LCA will receive credit for your order and a check semi-annually for 40 percent of your purchase. The Story Shop is a whimsical, independent bookstore that combines exciting reading experiences with the best quality books for your students. This a fun experience for readers of all ages. When your family visits The Story Shop, please mention LCA while checking out. In addition to the books your students will love adding to their shelves, The Story Shop will give 5 percent of all purchases back to the LCA Media Centers in order for us to purchase new books for your students to enjoy at school.